OS X is a great, finely polished operating system, but it’s not without its flaws. 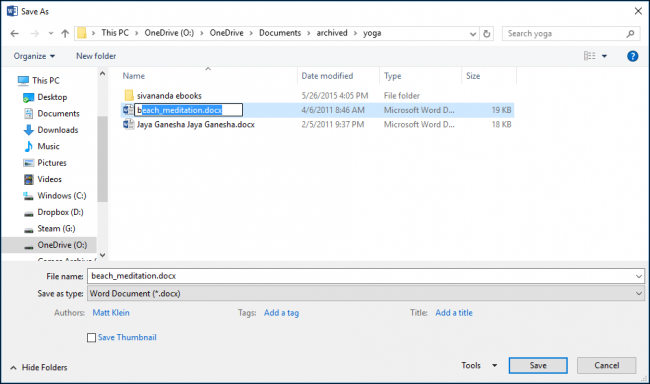 For years, there has been no way to rename files from the Save dialog–until now. This doesn’t seem that bad, but it means that if you wanted to save a file with a name that was already taken, you first had to open the Finder, navigate to the file, rename the file there, then return to the Save dialog to save your file. This extra step belies OS X ease-of-use and intuitiveness. Thankfully, this changed with the release of OS X 10.11 El Capitan. It’s not a huge headline-grabbing improvement, but it’s something worth noting. After all, even Windows lets you rename files from its Save dialog, so why not on a Mac? The Save As dialog on a Windows computer is a far cry more flexible than that on a Mac. However, OS X’s new feature isn’t immediately intuitive. First, if it’s not already shown, click the little downward-pointed arrow next to the Save As box to expand the dialog to include the save location’s file list. Now, simply right-click on the file you want to rename. It’s a great little time-saver and sure to please both old and new Mac users alike. Why it took Apple so long to include this ability, we’ll never know. 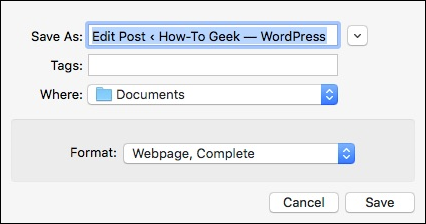 Why you still can’t just rename files from here like you can from the Finder (two clicks) is another great question, but we’ll take whatever we can get.